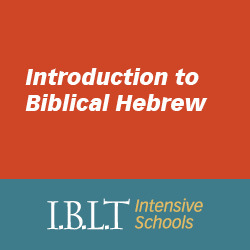 The Institute for Biblical Languages and Translation (IBLT) runs a unique 3-credit course, introducing Biblical Hebrew as a living language and Genesis 1. The course is taught 90% in biblical Hebrew, a highly successful and efficient language learning method, and the ultimate goal is to initiate a state-of-the-art training track in biblical Hebrew for nation-wide translation projects. An Introduction to Biblical Hebrew allows students to quickly and effectively learn biblical Hebrew within a naturally enjoyable learning process. Using oral teaching methods is known to be the best way in which a language is learned, even when reading is the primary goal. 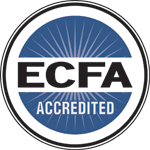 Students of this course have the opportunity to lay a foundation for true internalization of the biblical language. In the online pre-requisite, the student will learn to understand words in natural speech and then how to read these in Hebrew script, before arrival. During the live course in-person, the language will undergo more internalization as it is used for communication in class and then the student will read the Hebrew of Genesis One with understanding. This will show the benefit of Hebrew study and will be an excellent foundation for any further work in Hebrew. While not a requirement, successful completion of the Introduction to Biblical Hebrew intensive will give a stronger foundation to make the most out of our 9-month immersion program in Jerusalem.